No vanilla bean specks or any other secrets for that matter. Just a standard vanilla base, cookie dough, and chocolate chips. Nothing stands out... but nothing really disappoints either. Yes, it even has itty-bitty chocolate bits in the Toll House branded cookie dough chunks. And that's what I bought for the family last week. Stay tuned to see what I pick up next. Love this idea, especially aproaching it from the economical, mass-market brands. 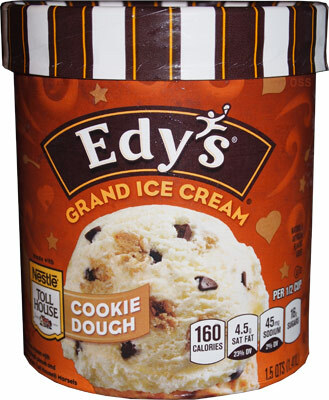 I have never had the regular version of Edy's, but the Churned is my go-to for a the perfect light cookie dough (one of my three favorite flavors). I just bought the Harris Teeter brand Cookie Dough the other day and it's horrible -- the dough is way too big and chalky, and not integrated well. 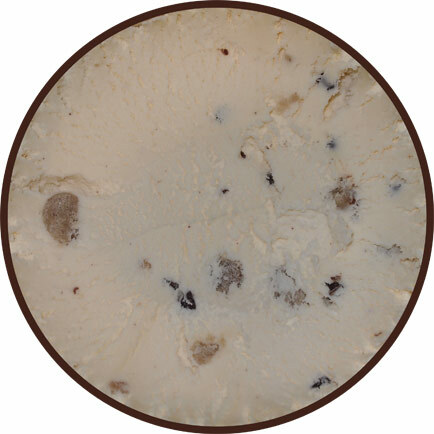 A good cookie dough ice cream has mini semisweet chips in addition to a buttery and brown sugary dough. The two best I've ever had are my hometown Aggie Ice Cream and the Hershey's hand dipped premium Cookie Dough. I'd love to know your take on French Vanilla. I'm a sucker for Friendly's. ha! almost picked up some french vanilla yesterday! (went with TH homemade vanilla though to compare with blue bunny's version). I'll put FV on the to-do list. I use to love this as a kid and my kiddos love it but I have got to be honest: this stuff seriously makes me gag now. The chips of chocolate seem waxy and the cookie dough is gritty and gross. Just me?! Rocky road seems to be a safe/inexpensive pick for me! Love your blog btw. Tried Liz lemon based on a review!! fair enough! I kind of like my cookie dough gritty, it reminds me of (foolishly) eating raw pillsbury cookie dough from the package back in my college days. i tried this for the first time - i typically get the slow churned version of the cookie dough ice cream, but peapod was out. I feel like the slow churned is much much better - the chocolate tastes better, the cookie dough is better, and the ice cream is creamier.